Throughout the state of New York, we take pride in treating our senior citizens with the respect they deserve. Most of our state’s elderly population comprises law-abiding, responsible men and women who make positive contributions to all aspects of our society, including making our state’s roads safe for our cars, trucks, motorcycles, bicycles, and pedestrians. Unfortunately, there are a few seniors who continue to drive beyond the point when it is safe for them to do so. When these seniors cause auto accidents through their negligence, it is innocent victims and their families who must suffer the consequences. At Worby Groner Edelman, LLP, our personal injury attorneys handle the full range of auto accident cases, including those in which seniors were responsible for the accidents. At our law firm in White Plains, auto accidents and seniors have formed the basis of several of the personal injury claims that we have successfully resolved in favor of our injured clients and their families. Age is not an excuse for negligence. 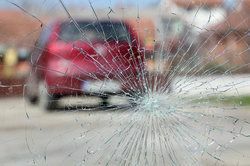 If you or someone you love has been injured in an auto accident caused by the negligence of a senior driver, or if you have tragically lost a member of your family in such an accident, our team of experienced personal injury lawyers can help you obtain the full measure of compensation to which you are entitled. Currently, there are no state laws requiring drivers over the age of 65 to retake their driving tests in order to keep their driver’s licenses, although there are advocates for such laws. It is unlikely that such a law will ever be passed by state legislators for many reasons, not least because it could be considered an act of age discrimination and, as such, declared unconstitutional. Furthermore, statistics show that elderly drivers are no more likely to be involved in accidents than drivers under the age of 21 - and it is equally unlikely that a law would be passed requiring our youngest drivers to be retested annually to keep their driver’s licenses. The New York Department of Motor Vehicles can, however, require a driver to be re-evaluated if his or her driving ability is brought into question by a police officer, physician, family member, or other person who is able to provide information about a specific behavior or incident to the DMV. As long as this re-evaluation is not instigated as a response to a person’s age, the person can be forced to take a re-test to keep his or her driver’s license. If you have lost a loved one to wrongful death, you may further be entitled to compensation for funeral costs, loss of support, loss of consortium, and loss of future wages and benefits. To learn more about auto accidents involving seniors, or to arrange for an evaluation of your case, please contact Worby Groner Edelman, LLP today.